Today's Inspiration: Robert Heindel: "following the path Fuchs led"
Robert Heindel: "following the path Fuchs led"
"I remember seeing Robert Heindel's work in the Saturday Evening Post in 1966 or '67 and also in a Honeywell brochure I was told he had illustrated. The Honeywell brochure had impressive technique. 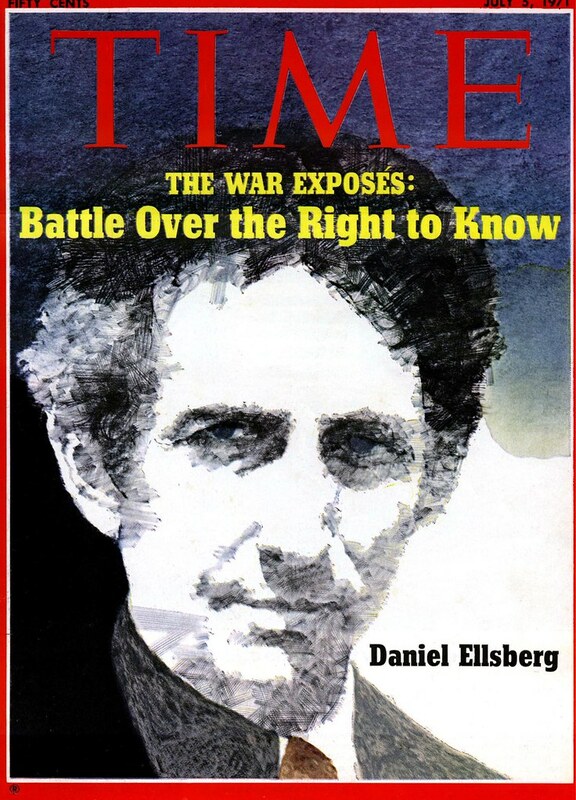 In 1971 his pencil drawing of Daniel Ellsberg [above] was a new pencil treatment I liked. Heindel illustrated a Winchester catalog with montages, and a brochure for Pan Am. 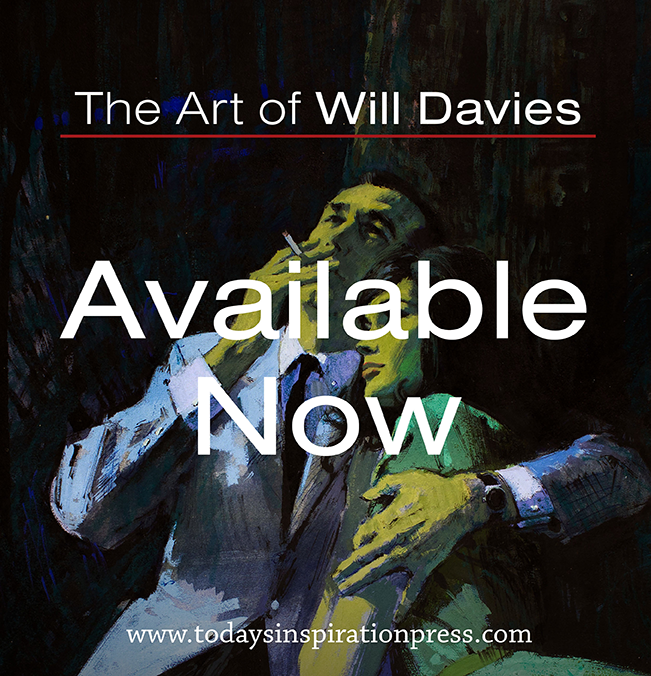 I found his art in most national magazines and paperback book covers." 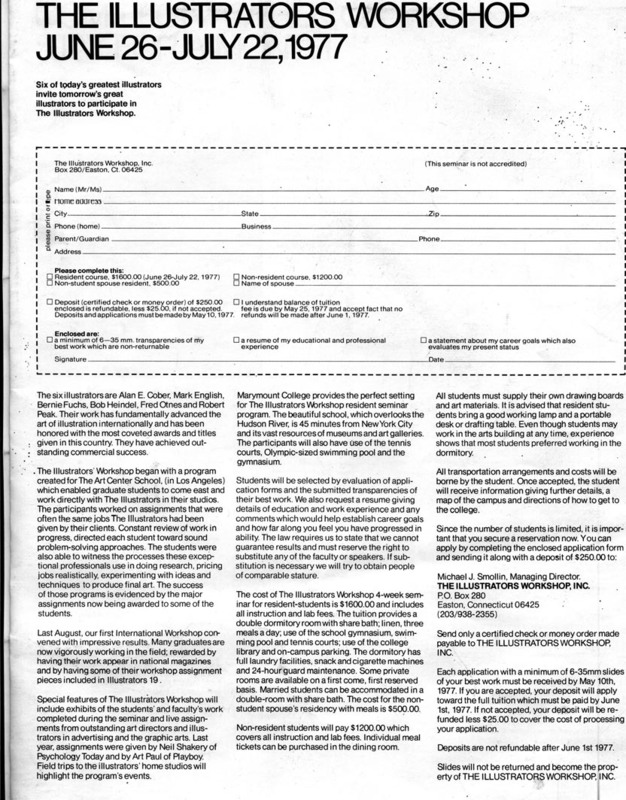 In 1977 I decided to attend the Illustrators Workshop. 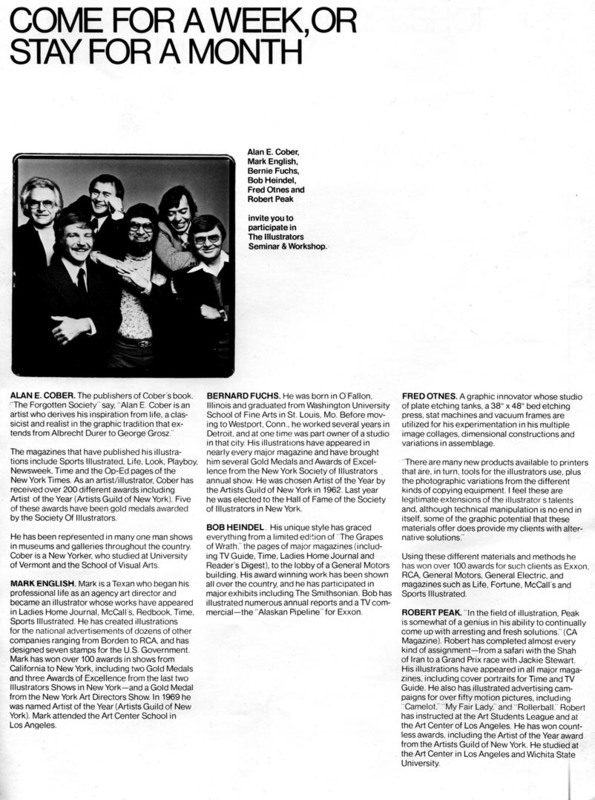 It was from June 26-July 22, 1977. My wife and three daughters, one, three and four years old went in my '76 Rabbit. My wife & daughters stayed with friends in Queens & I went to Marymount College in Tarrytown, New York." "We were instructed to bring a comp sketch for an assignment we would do at the workshop. We would do one more after the first was completed. After meeting the faculty we showed our comps & received suggestions. Each of the artists showed slides and spoke about their work on succeeding days. Richard Gangel spoke to us. Harvey Kahn talked about representing artists. The people listed in the seminar literature each spoke." "We visited the artists' studios in their homes or in Bob Peak's case a building he had his studio in." 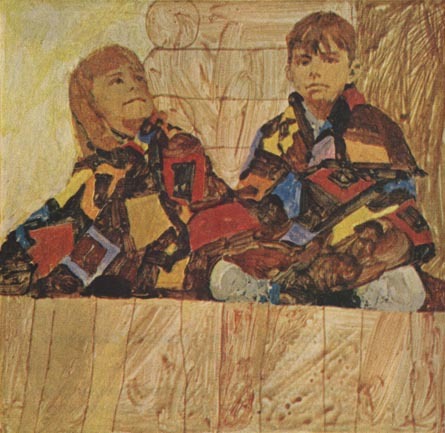 "Robert Heindel's studio was in his home with many drawings & paintings to see. He liked to draw with conte crayon which he sharpened to a point. I was able to photograph some of his drawings & made prints on my return home. Like Mark English, Heindel tried to follow the path [Bernie] Fuchs led. Heindel worked in Detroit for 5 years then moved to New York." "He mentioned that things had changed, and he found markets other than the magazines. Some were not as visible but they paid well. He was able to convey how committed he was and how much he liked doing what he did. The seminar was helpful, not in teaching particular methods or little tricks, but encouraging students to find their own way of working. I thought the workshop was a good experience and a great bargain." 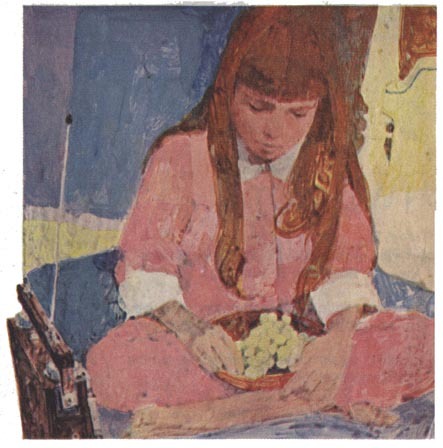 *Many thanks to Harold for relating his experience of attending the Illustrators Workshop and meeting Robert Heindel - and for sharing all the scans we'll be seeing this week. "He was able to convey how committed he was and how much he liked doing what he did." That's what I'd call A TEACHER. Happy those who could attend to the lessons of this able man. I sent this email to Sandy Kossin today. I love that one of the features of the dorm set up is cigarette vending machines!